We are known for our authentic dum-biryanis and many guests walk in everyday with hope of relishing our biryanis, but sometimes they are surprised when we don’t have biryanis to serve! 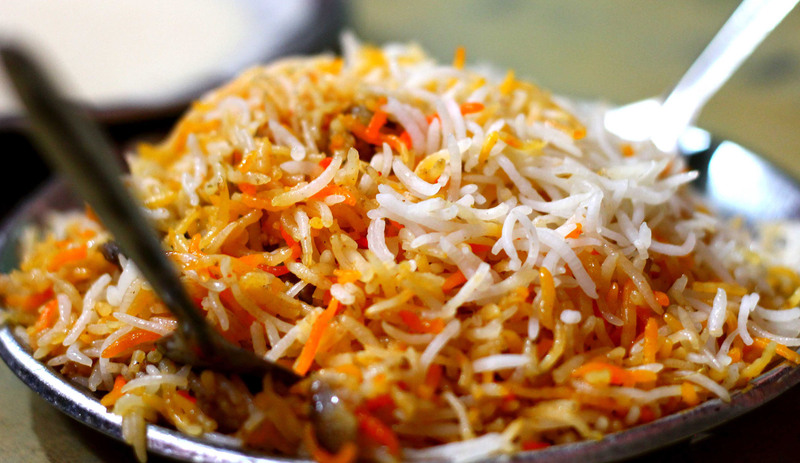 To figure out why, you need to understand the process of making of an authentic “dum-pukht” biryani. Unlike today’s modern restaurant kitchens, we do not slap on cooked, coloured rice on flavoured, masala meat and call it a dum biryani. That would be sacrilege! Our dum biryanis are authentically cooked the traditional dum-pukht way without any compromise on quality or time. While the art of sealed cooking is timeless and traceable across the world, the very particular style and tradition surrounding dum cuisine in India can be traced to the royal kitchens of Awadh from where it spread to other regions across India, including the courts of Kashmir, Rampur and Kolkata, among others. The pivotal principle at the heart of dum cuisine involves dum and pukht. Dum which means ‘to breathe’, and pukht, which mean ‘to cook’. Therefore Dum-Pukht. The stress is laid on slow cooking so that the natural flavours of the food are retained, while infusing the flavours of spices in the dish subtly yet thoroughly. At Tasneem’s Kings Kitchen, dum-pukht biryanis means cooking raw meat and rice together over a very low coal flame in sealed vessels. Our traditional chefs also known as “Ustads” have learnt the skills of Dum cooking from their forefathers and perfected the art of making biryanis over years of apprenticeship. 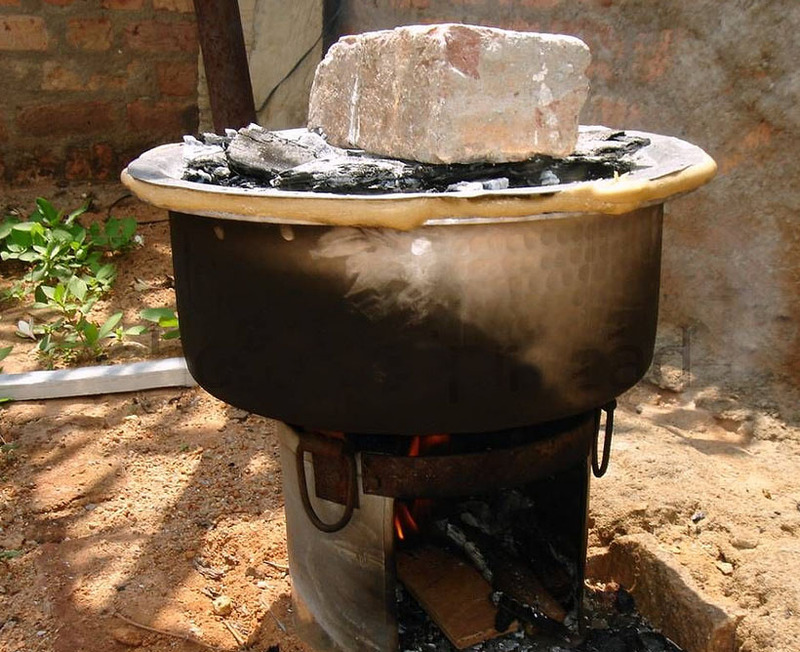 Our Ustads will never rush a biryani, they have honed their skills to perfection and can tell the biryani is cooked and ready to serve by just observing the color of the coal kept on the lid of the sealed vessel. So while our Biryanis take around 3-4 hours to cook, they are easy to plate. When you order, the biryanis are on your table in minutes. But when we run out, it means we are SOLD OUT for the day. It always helps to book your biryanis at Tasneem’s Kings Kitchen. Our kitchen is better prepared and you never return home disappointed and empty stomach. 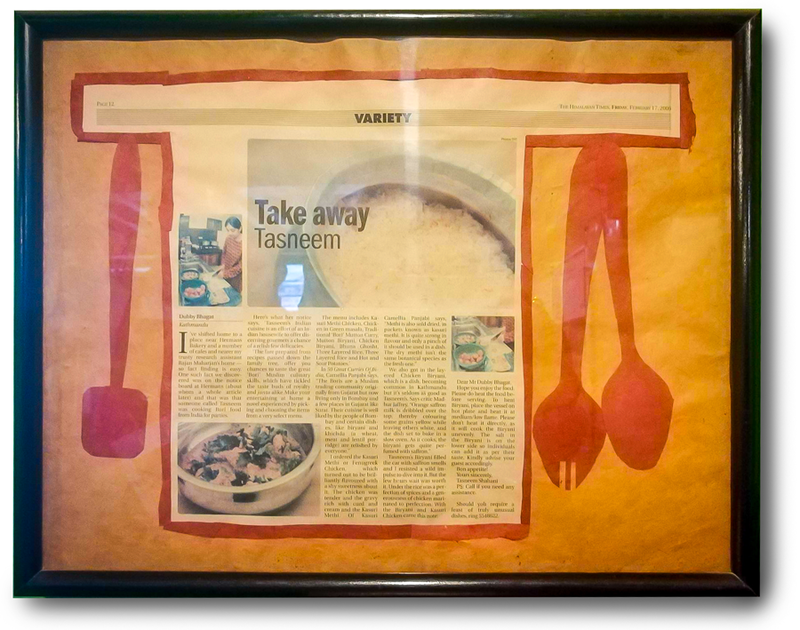 TASNEEM PIONEERED THE BIRYANI BY THE KILO CONCEPT FOR HOME-OFFICE PARTY IN NEPAL. Tasneem’s Kings Kitchen, Jhamsikhel Road, Next to Pulchowk Damkal, Lalitpur, Nepal. Call 9801121212 to book your biryani by the kilo.